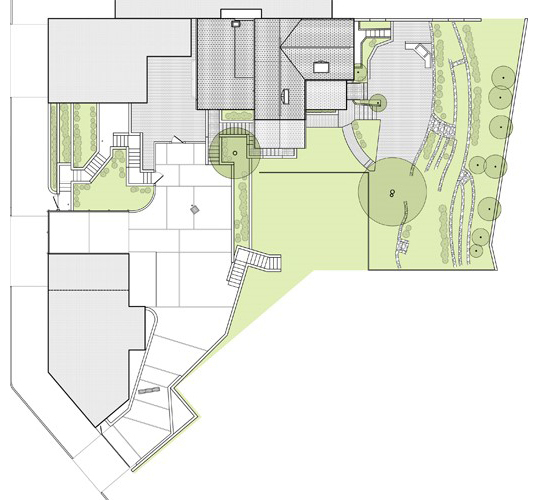 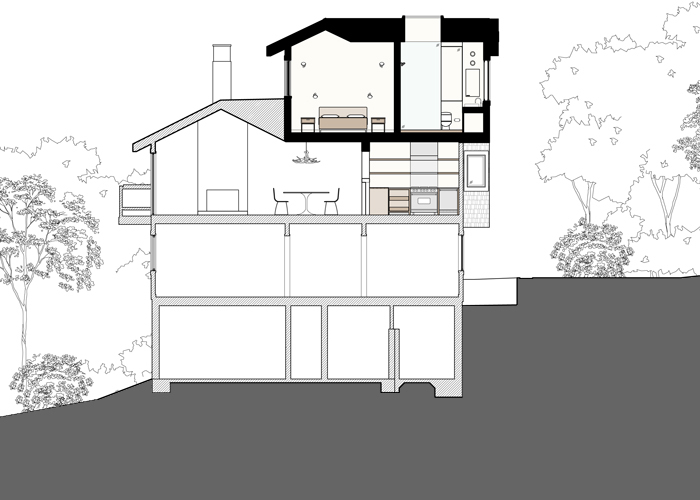 A 500sf third floor added to a small house on a wooded site makes a new Master Bedroom and Bathroom a tree-house aerie. 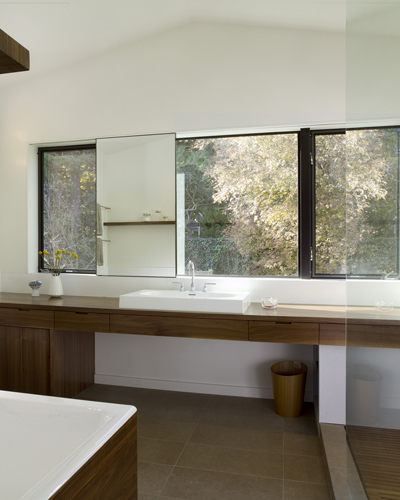 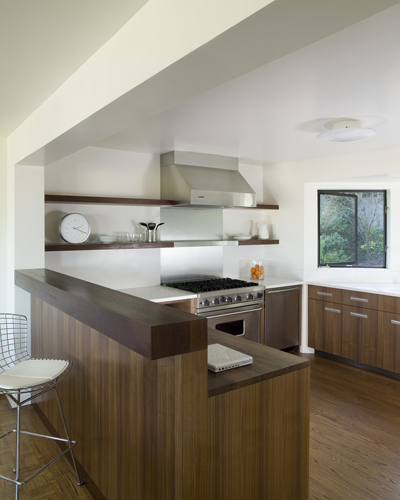 Skylights bring sun from above to wash rooms in light which would otherwise be shaded by the surrounding trees. 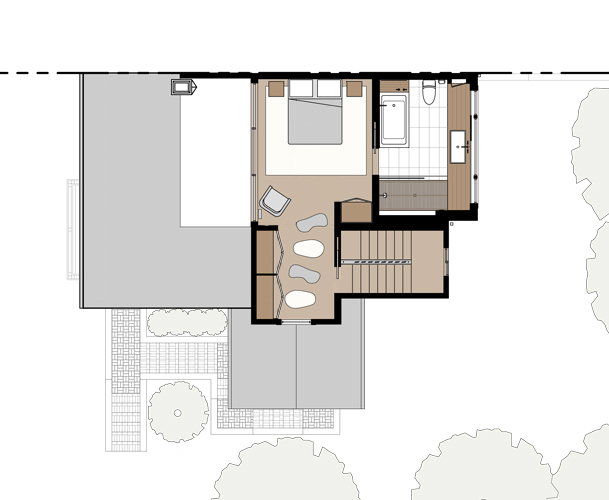 The palette and minimalist detailing of the new addition is continued in the renovation of the Kitchen and lower stories.